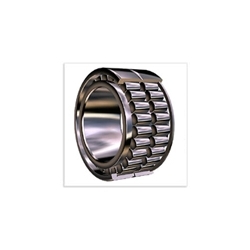 Double Row Cylindrical Roller Bearing manufacturers, Double Row Cylindrical Roller Bearing exporters, Double Row Cylindrical Roller Bearing suppliers, Double Row Cylindrical Roller Bearing OEM service. 2. In cylindrical roller bearings, the rollers are a key component. Their geometry, the so-called logarithmic profile, provides an optimum stress distribution in the contact zones in the bearing. Their surface finish maximizes lubricant film formation and optimises rolling motion of the rollers. The benefits derived from this compared with traditional designs include enhanced operational reliability and a greater insensitivity to misalignment.